Ranger Wendy Vecchi Mini Archival Ink Pads KIT 6 amdk64077 at Simon Says STAMP! amdk64077 This item is on reserve until If you would like to reserve this item now, you may purchase it now with the rest of your order. We will hold your order now and ship your entire order as soon as this item is back into stock. If you would like your order to ship now, please place this item on a separate order. Success, Ranger Wendy Vecchi Mini Archival Ink Pads KIT 6 amdk64077 has been shared! 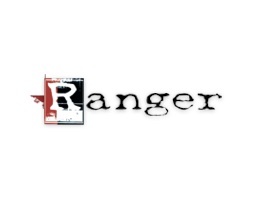 Ranger has taken the same high quality, fade resistant dye ink formula used in the full size Archival Ink Pads and has put it in a convenient mini ink pad. Archival Inks provide long lasting stamping results that are permanent on many surfaces. Get a crisp image that doesn’t bleed over water based inks, markers, acrylic paint, water colors, and more. The small size (approximately 1.75 x 1.25 inches each) makes these convenient for projects on the go! Perfect to use with the Mini Ink Blending Tool. Colors included in this kit: Poppy, Prickly Pear, Bluebird, Thistle.